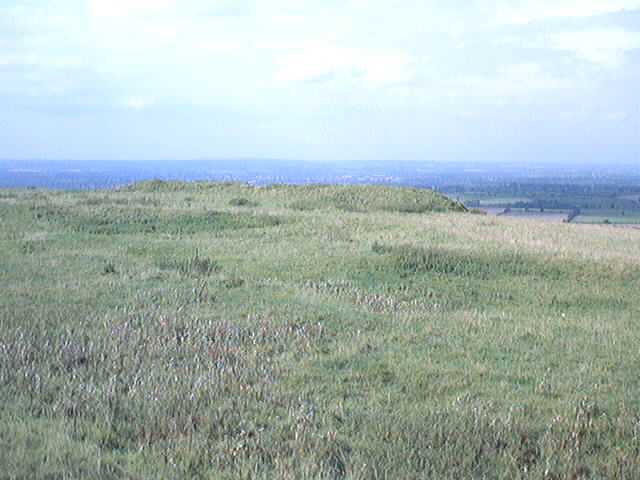 Bratton Castle, also known as Bratton Camp, is an Iron Age hill-fort... but it also encloses a Neolithic long-barrow, and adjoins Westbury White Horse (on the hillside below). 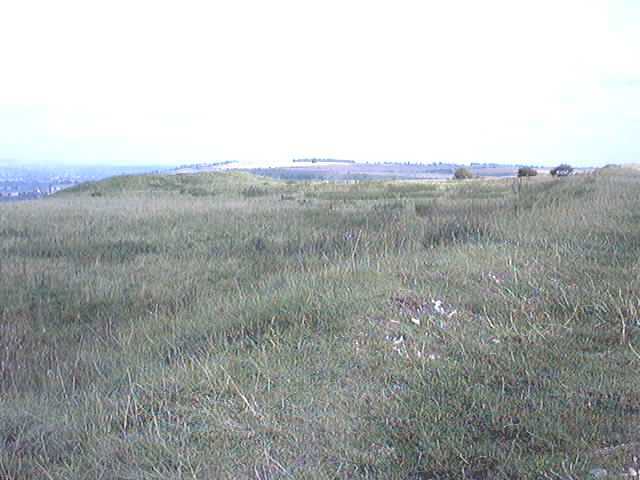 The hill-fort is roughly rectangular in plan, and has a commanding view in all directions. It has two banks and ditches, except on the eastern side where there's only one. They enclose about 23 acres. 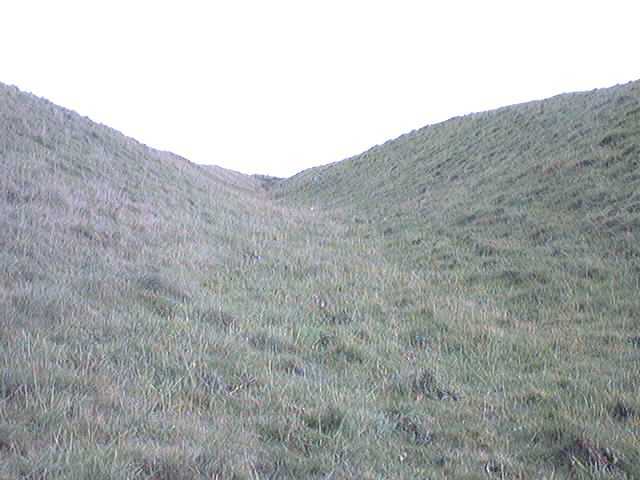 There are entrances on the north-east and the south, both with out-works, and both used by the modern road that runs through the edge of the camp. 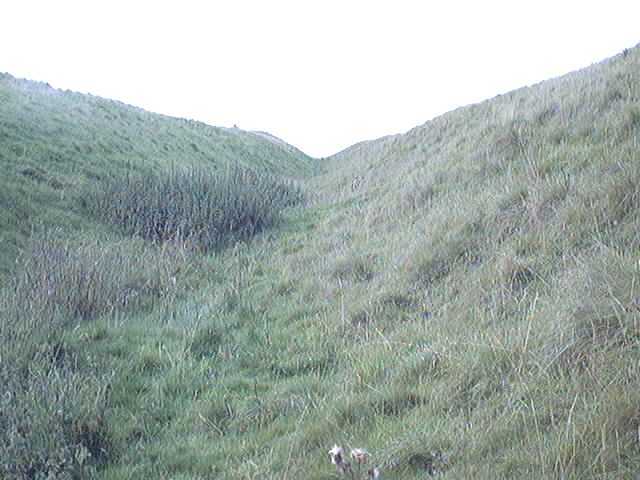 The date of the hill-fort isn't definitely known, but it probably dates from around 1000 BC. 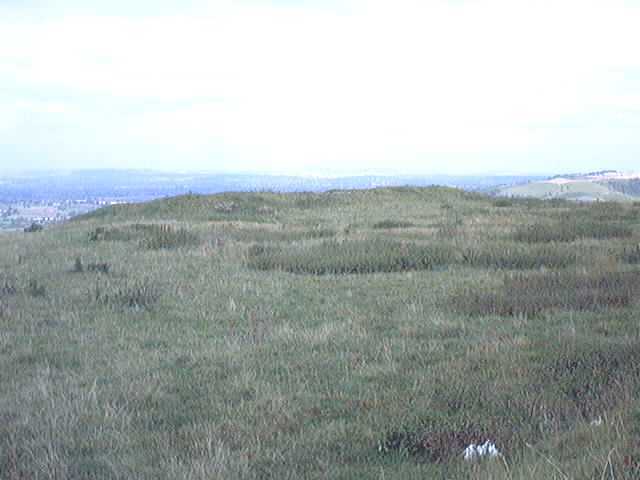 Near the centre of the hill-fort is a Neolithic long-barrow, about 230 feet in length, orientated east-west, and about 12 feet high at the eastern end. 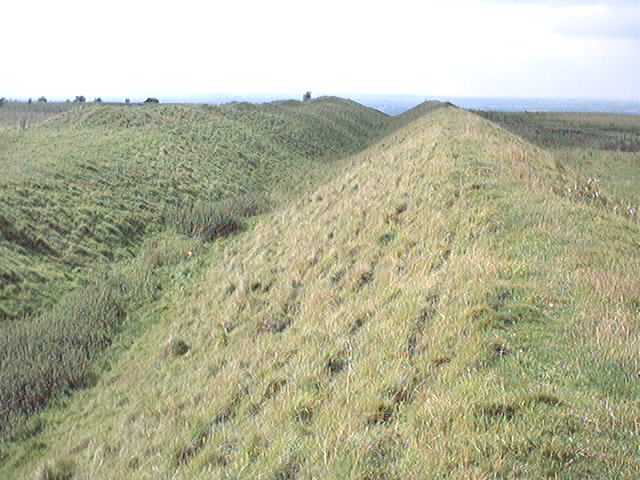 Its side ditches are now silted up, and hollows in the mound indicate 19th Century excavations. 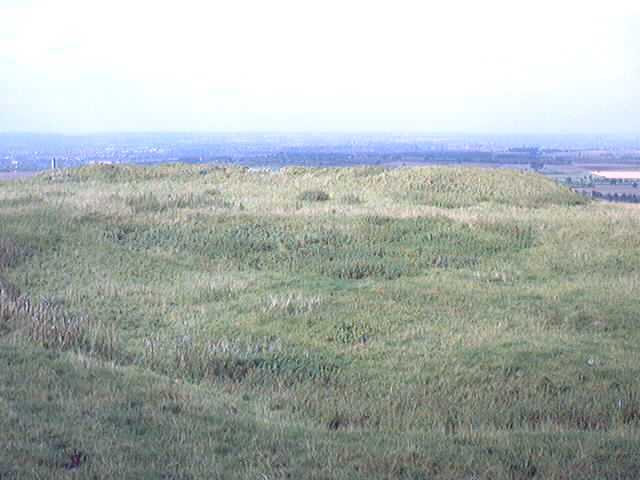 Only two adults appear to have been buried in this large mound - they lay on a platform at the eastern end, and had been partly burnt. 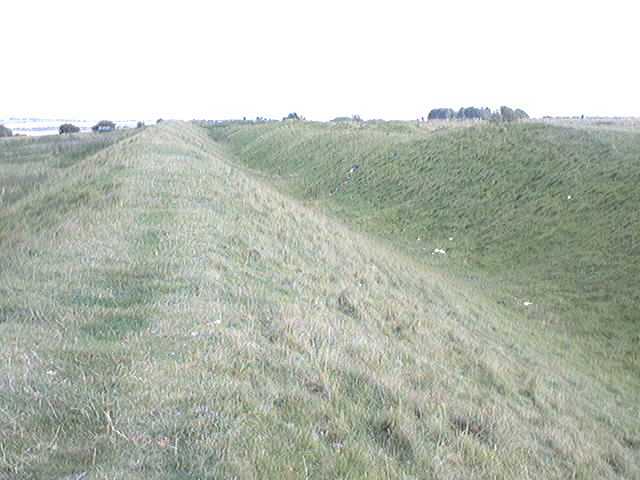 The barrow was built about 4000 BC. The famous Westbury White Horse , re-cut in 1778, lies outside the camp, on the hillside to the west. You might also like to look at my photos of Westbury White Horse.